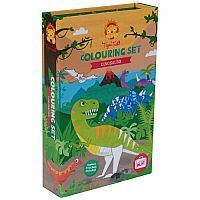 The Dinosaurs Magic Tiger Tribe Colouring Set is jam packed with coloring activities, markers and stickers. Its compact and portable design is perfect for kids on the go. Explore, color and decorate dinosaur activities. 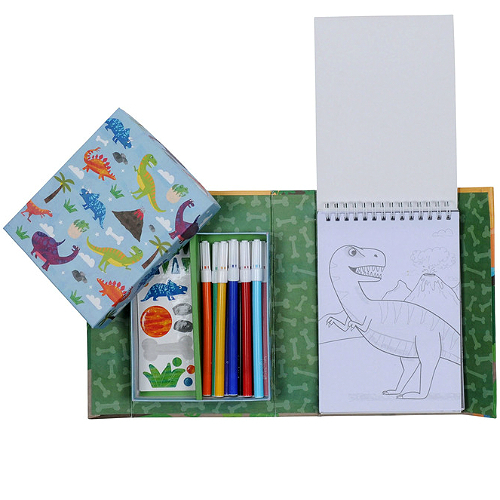 The packaging for this creative activity set has been specially designed with storage compartments to keep stationery and artwork safe, making it perfect for portable, no-mess and no-fuss play. 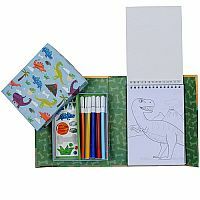 Includes 48 coloring pages, handy storage box, 5 sticker sheets, and 10 markers. Measures approximately: 5.50 x 8.25 x 1.75 inches..